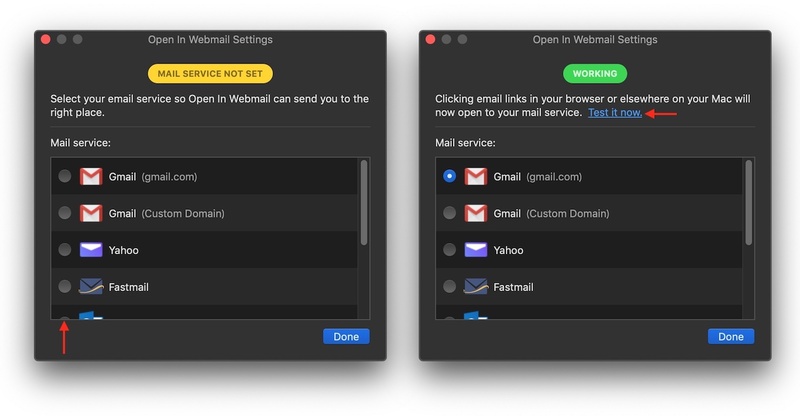 HTMLのmailtoリンクをMacのメールクライアントではなくWebメールで開いてくれるアプリ「Open In Webmail」を使ってみた。 | AAPL Ch. 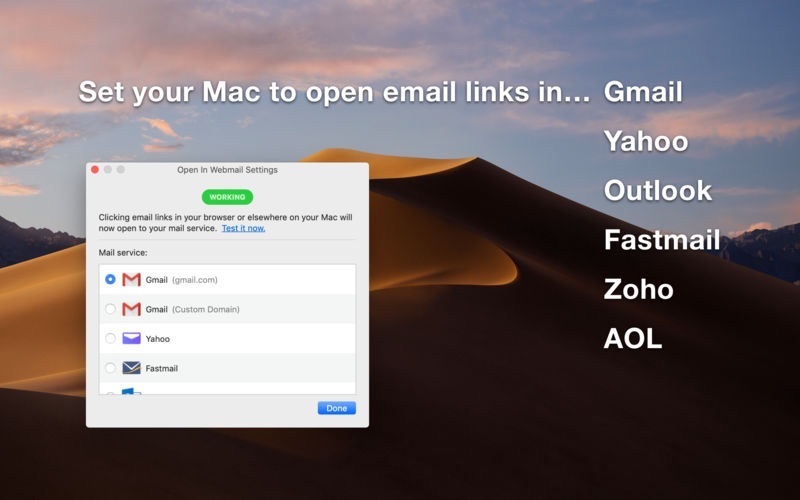 Configure your Mac to open email (mailto:) links in your web mail service of choice — works with Gmail, Yahoo, Outlook, Fastmail, Zoho, and AOL. 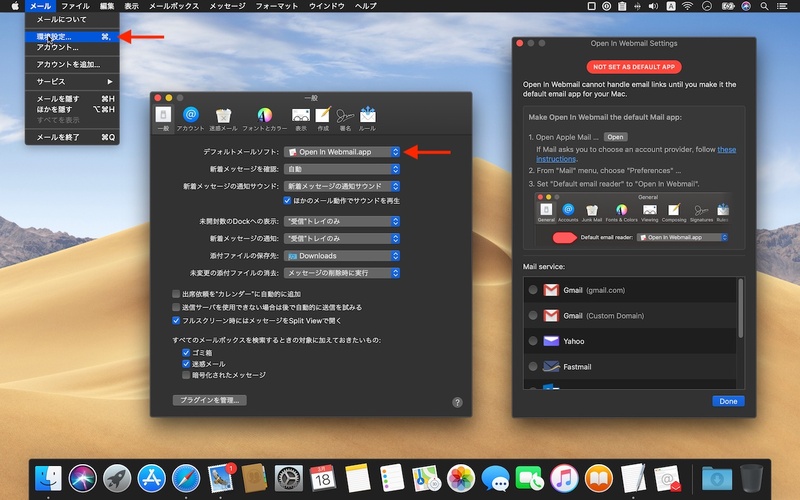 If you’re annoyed that Apple Mail opens every time you click an email address in your web browser, this is the solution.